A mortise lock is not very common these days, but can still be found in many older, more traditional homes. With a mortise lock, the locking mechanism is tall and narrow and requires a slot to be cut from the door itself so that it slides in and then is screwed into place. There are many advantages to a mortise lock. One is that the larger locking mechanism is typically more secure since it won't break away so easily, unlike smaller handle locks that can be kicked in. With a mortise lock, being buried in the door also makes it more secure as well. It cannot come away from the door or be broken off since it sits so far inside the door itself. For security in New York, this is a good thing. a mistake as you may break the door before you can get it out, and trying to replace it on your own can also mean damage to the door as you try to screw it in properly. A good mortise lock won't work right if it's not installed right, so as with all exterior locks, you want to call a qualified locksmith to get this work done for you. 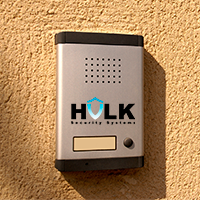 This will mean keeping you and your property safe at all times. You need the best security in New York.